A stylish beard is a very cool (and inexpensive) way to spruce up your image and the overall manliness that you project. From a lazy full grown beard to a very carefully grown and maintained the Hunter look to a goatee that falls some way in between these two beard styles, a well groomed beard goes a long way in accentuating your best traits, while at the same time they balance out some of the lesser ones. The first step towards growing a manly beard is to know just what kind of beard will suit your face. For a round face, tight sideburns tend to work well along with longer hair around the chin whereas for men with longer faces, it is just the other way around. Equally important is to pay attention to proportions – men with larger faces need to keep a fuller beard to ensure that its effect come through in all its glory, for men with a smaller facial area, tightly trimmed beard is the way to go. After the what of growing beard, now comes the how part. So how does one go about growing a beard? It is simple – stop shaving. But is that all you need to grow a beard? Not if you want a proper one, for sure. To properly grow a beard, you have got to live into it and let it “grow” upon you, becoming a part of your personality. A month of letting a beard grow is usually required to attain the best results, followed by a meticulous trimming phase, followed by an extensive maintenance phase. Once you have grown a beard, you will need to trim it to look the way you like it. Depending upon the style and the length of beard that you choose to grow, you will need basic beard grooming tools – an electric trimmer or a good, old pair of trusty scissors. However, for those willing to go the full distance with beards, a complete beard grooming kit is in order replete with a moustache comb, wax, pair of scissors, clippers, trimmers and a good quality shaving cream. 1) Using Electric Trimmers – The market today offers a wide range of excellent quality hair and beard trimmers, catering to every budgeting need. An electric beard trimmer is the easiest of the two methods to groom a beard, for the convenience and quickness it offers while trying to sculpt your beard to a stylish look. However, if you want to carve out every minute details of your glorious beard, a manual trimming is essential. 2) Going Manual – Nothing beats a traditional razor when it comes to shaving or grooming the facial hair. Choices exist in razors too, and you can either go for a traditional razor or the modern multiple blade safety razors. Equally essential is visiting your barber, who will give you the best advice on choosing the right tools and techniques that suit your beard style and facial hair pattern. Aside from the trimming tools, you must use a good quality moisturising shampoo and conditioner for your beard, in order to ensure that the beard stays smooth and healthy, and your skin properly moisturised. The best way to groom a beard is to use a combo of the electric trimmers and the manual razors or scissors. When trimming, keep the beard outlines for the electric trimmer, while use a moustache comb and a pair of scissors to trim the main parts of the beard. A comb and a pair of scissors give you better control while cutting your beard, but might not be necessary if going for a standard short beard or a goatee or a French Cut. 1) Visit your barber frequently – Seriously, a good barber who understands your facial skin and hair is the best you can do to keep your beard and hair in the best shape. A good barber will also understand that you need to maintain your beard during visits, and as such will help you learn the technique to grooming your beard. 2) Use a Pre Shave oil – A good quality shave oil helps to keep the beard hair soft and also serves as a proper tool to outline the beard area neatly, thus ensuring a sharper finish to that edgy beard style of yours. 3) Use a good trimmer – There are several excellent trimmers out there, Philips and Braun are particularly the brands you may want to check out while looking to buy a trimmer. Go for one with an adjustable trimming guide for mistake proof trimming. 4) Use a comb – A fine-toothed comb is what you need to keep your beard from getting all tangled up, and remain smooth and free flowing. 1) Hollywood – Ideally suited for men with a small mouth, the width of the moustache over the upper lip works to impart a more proportionate look. With a dirty shadow around the cheeks and around the chin, the Hollywood look lends a strong look to its bearer. 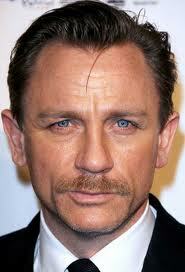 Allow the moustache to grow thick, and keep the beard growing in the chin, cheek and neck areas at a stubble length. While shaving from top, carefully outline the ends of the moustache that extend beyond the corners of the mouth. 2) Hunter – Despite the overall rugged and unkempt look, the Hunter requires extreme beard grooming. 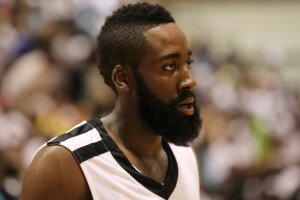 While the whisker length beard on the sides give a rough look, the hair around the chin and the mouth have to be neatly outlined to complete the look. Allow the beard to grow fully. Shaving from top, cleanly outline the beard along the cheek and the top of the moustache. Trim under the moustache, across the lip and all along the corners of the mouth. Shave under the bottom of the mouth, from the corner to the centre and downwards till the chin. Leave a lean centre strip from the centre to the chin. 3) Ducktail – This works best for African men, who have a sparse hair growth about the cheeks but a thicker amount of hair around the jawline. Trim the cheeks and the upper and lower part of your lips to a stubble length. Graduate the beard hair from short to long, while trimming from whiskers to the chin keeping the chin hair as the longest point of hair. Shave under the jaw and across the neck. 4) Hollywood Mo – A masculine moustache of the 1800’s makes a solid comeback as the most imposing and absolute statement moustache. A good moustache wax is required to maintain this style though. Grow a thick moustache, allowing the whiskers to extend beyond the corners of the mouth. Keep combing the moustache to fully strain the hair towards the outer corners of the mouth. Trim any hair that does not conform to the overall moustache direction. Shave cheeks, neck and chin clear, with a stubble if desired. 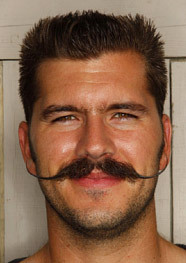 Use a moustache wax to tame the outward growing whiskers and impart that shiny, pointy twist at the ends. 5) Full Beard – This is one lazy, but utterly manly and ruggedly looking beard style if you can carry it off proper. But do not think that this does not require any upkeep. Regularly trim with the trimmer set to a beard length of 4-6 mm to keep the beard looking neat but hairy. 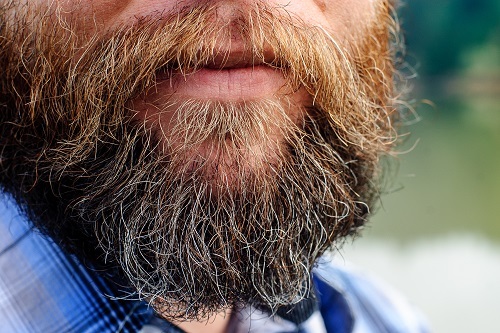 Allow the beard to completely cover the upper lip, cheeks, chin and go all the way back to the neck. You can let it grow as long as you want, but with the length grows the effort required to tame the beard and keep it looking presentable. Your post gives useful information on beard care and how to grow beard. Thanks for sharing useful tips on beard. Find it very useful. Previous post: What to Do When You Cut Yourself While Shaving?